Like "dorky" glasses or "grandpa" cardigans, overalls have always been one of those bizarre ugly-pretty items of clothing obsessed over by the fashion set, whether or not the rest of the word considers them trendy. 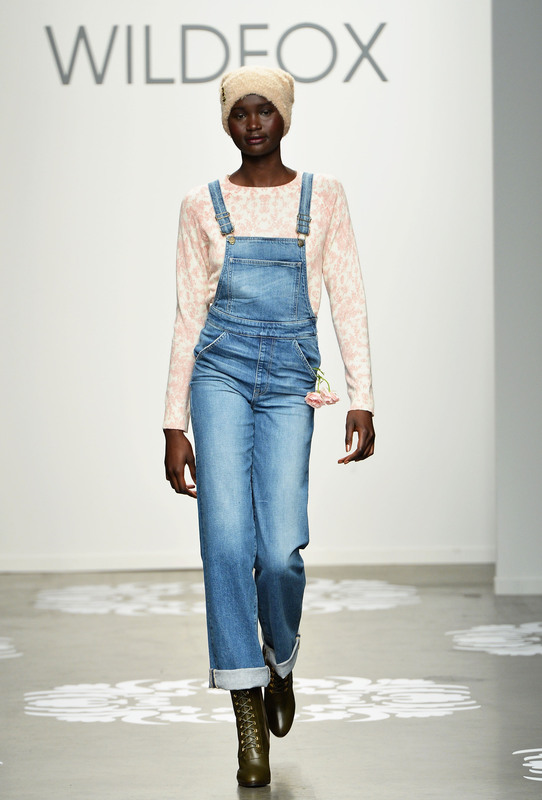 (In fact, have overalls ever trended?) As we speak, hordes of girls are wearing cut-off versions at Coachella, while some unfortunate celebrity is contemplating a tuxedo-overall hybrid and wondering if it's daring or disastrous. Everyone looks kind of cute in them, and no one really looks amazing in them. Welcome to the world of the fashion overall. There are a few rules here. 1. Keep it a little country. There's no point in pretending that overalls didn't start out as protective worker clothing, or that they aren't frequently paired with muddy boots and a piece of straw for chewin' on. Trying to make overalls look fancy usually results in the wearer looking ridiculous. Embrace your inner farm girl. A grown woman should not be wearing overalls to look "cutesy." She should be wearing them to look "chill." There's a big difference. 3. You're allowed to break out all your scandalous tops. Crop tops? Bralettes? Corsets? The baggy, covered-up effect of overalls means it's easy to pull off mere scraps of clothing beneath. Study at the school of Selena if you're lost. 4. With that said, please don't try to turn overalls into some sort of weird push-up bra. Keep the bib over the chest area, where it was intended to go. Don't turn it into a frame for the girls. 5. Crisp button-ups are automatically green-lit. Really, anything structured contrasts pretty well with overalls. 6. But you can always just embrace the grunge. Why fight it? We're talking about overalls here. No one really takes them seriously. 7. Please stick to blue denim. Unless you have a really, really good reason not to. This is not one of those reasons. 8. Shortalls will always be extraordinarily cute. And yes, shortalls is a word. 9. Unless you do them wrong. 10. Don't be afraid of baggy. I know it's a scary statement to make, but oversized overalls have a je ne sais quoi about them that's completely adorable. Terrified? Just check out Alexa Chung in her massive pair. 10. When it doubt, add an embroidered sailboat appliqué. It will make all your problems disappear.